Where East meets West, along the Bosphorus Straits in Istanbul, creates a city that is a masterpiece in cultural diversity. 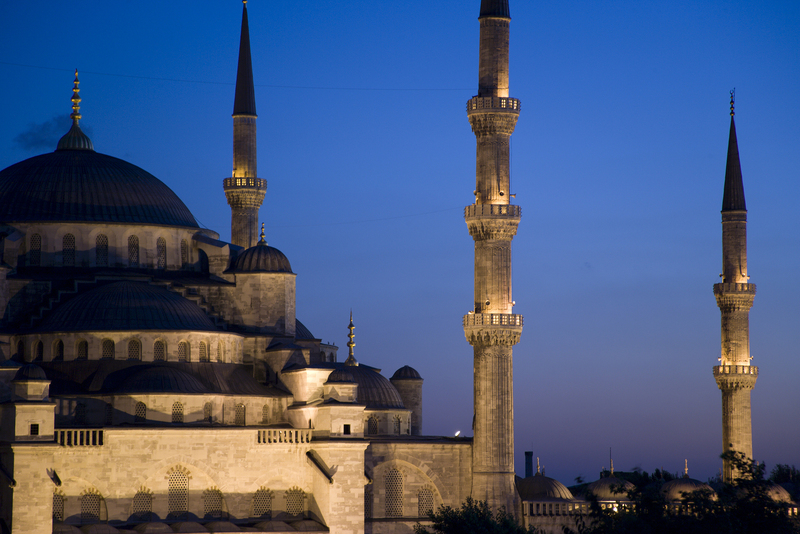 This city, first known as Byzantium and then Constantinople, is now known as Istanbul, with an extensive history that has left a unique stamp on the face of this city. The extent of yacht chartering in Istanbul is a day charter in the Bosphorus Straits, perhaps to the mouth of the Black Sea or in other directions to see the many summer palaces that grace these shores. The yacht charter waters in Turkey are in southern Turkey, along the ancient trading routes. However everyone should stop in Istanbul on the way to or from southern Turkey to explore this city. We are here in Istanbul now for a stopover to refresh our memories of this lovely city on our way to the Marmaris Yacht Charter Show. 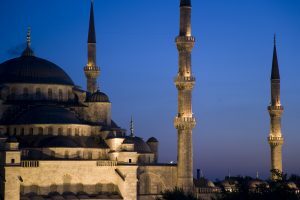 Within the Old City are numerous historic sites, which include the famous mosques of the Blue Mosque, so called because of the interior sheathing of blue tiles, and the Hagia Sophia. However this location along the Bosphorus Straits has been hotly contested for centuries, and Byzantine ruins remain within the Old City, the most famous being the underground cisterns, that remained in use well beyond Byzantine occupation. These cisterns are open today and are a fascinating feat of engineering. And, of course, the famous Topkapi Palace is close by. Put aside a full afternoon to visit the Topkapi Palace with the many exhibits, including the Imperial Treasury and the Harem. And how can anyone leave Istanbul without visiting the bazaars? There is the Grand Bazaar that is countless hallways all leading into the rabbit warren of small corridors inside the original old bazaar. All along the hallways are over 4000 booths, with various wares colorfully displayed, and of course, the bazaar merchant hawking his wares. In another area is the famous Spice Bazaar, with spices available for purchase in big bins, bought by weight. 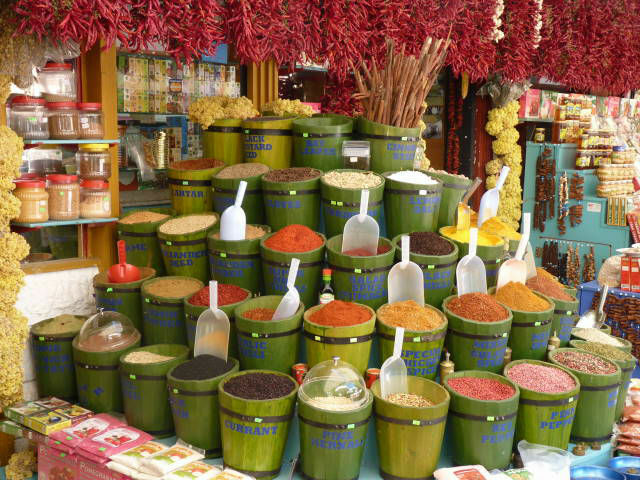 Turkey is well known for at least five different types of pepper berries and Green Cardamom pods. And of course, there are various fruit teas, including apple tea, which is such a favorite in Turkey. Up over one of the main entrances is an age old renowned restaurant, offering a view of the busy Spice Bazaar while you dine. Certainly at least two to three days can be spent in Istanbul to gather a feel for this city, and to have time to bargain with the bazaar merchants.